The Finchley Skin Clinic is proud to offer the latest revolutionary Platelet Rich Plasma Treatment otherwise known as the Vampire facial. The PRP treatment is a fabulous non surgical alternative to a facelift with rejuvenating results that last. Of course the term ‘Vampire Facial’ has been coined as a headline grabber when in the fact the science behind the new procedure is both in-depth and impressive. 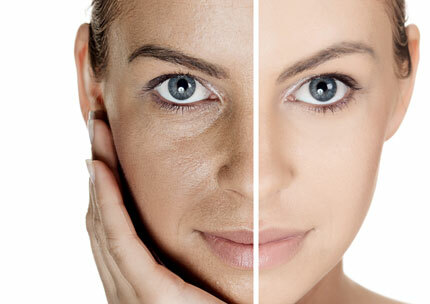 In simple terms the positive anti-ageing activity of your blood comes from the platelets. These platelets contain an anti-clotting property that enable cells to adhere to each other when an injury occurs. Once the blood is taken from you it is put into a machine that seperates the active anti-clotting element to be injected into the skin. The needle creates the ‘injury’ by puncturing the skin and the platelets go about the business of building a platform of clot. The result is a series of growth actions leading to new blood vessel formation, cell and collagen growth and tissue repair. Once this miraculous series of growth factors are activated the resulting skin condition smoothes lines, restores glow and tightens skin condition. On arrival at the clinic the skin on the area to be treated is cleaned and a topical anaesthetic applied for maximum comfort during the PRP treatment. and 10ml of your blood is taken.